Evernote is a popular virtual notebook, which allows the users to view notes on any device. But, since its latest update, some users have complained about bugs and process failures when trying to open any note. If you have encountered the same problem and want to delete the app and reinstall or uninstall Evernote completely, then read on. We will tell you how to remove Evernote from your Mac. Uninstall Evernote on Mac manually. Uninstall Evernote using App Cleaner. If you move the app’s icon to Trash and then try to reinstall Evernote, your Mac may tell you that the application is already installed. That’s why it is important to uninstall it correctly and completely. Firstly let’s learn about manual removal. Quit Evernote from the Dock Panel. If you use Evernote extensions some options may still work in the background. Go to Activity Monitor and check them. Close all running processes related to Evernote. 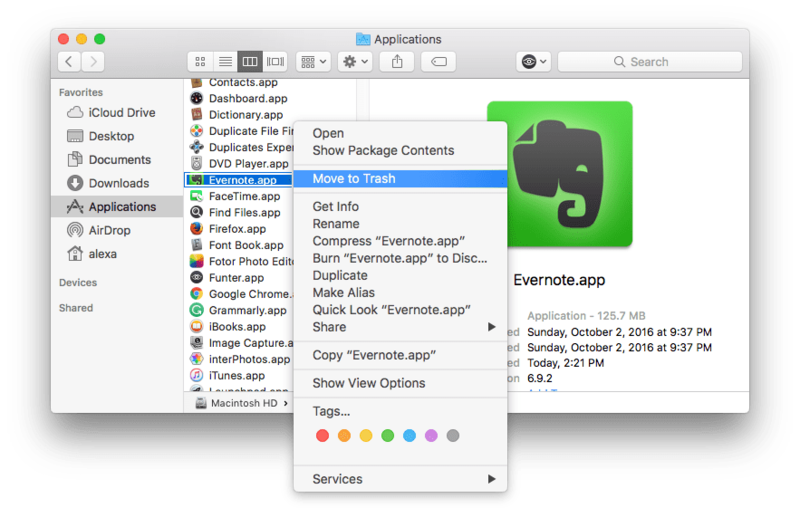 Go to the Application folder and move the Evernote application to Trash from the context menu. Delete all the associated Evernote files from Library. *If you don’t know how to open hidden files, check our previous article How to get to Library on Mac and How to show hidden files on Mac. Empty the Trash to delete Evernote completely. 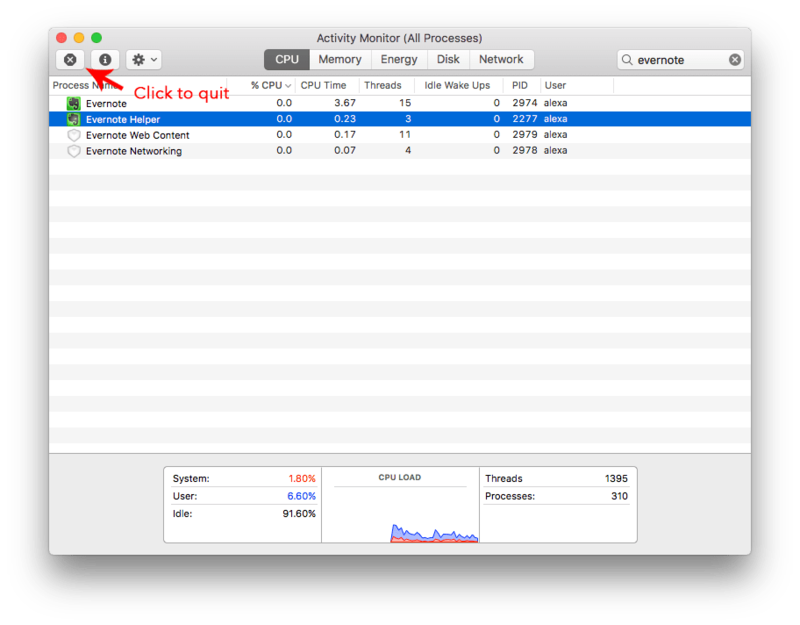 You can uninstall Evernote or any other application on Mac in a quicker and easier way. For that use a special software App Cleaner & Uninstaller. 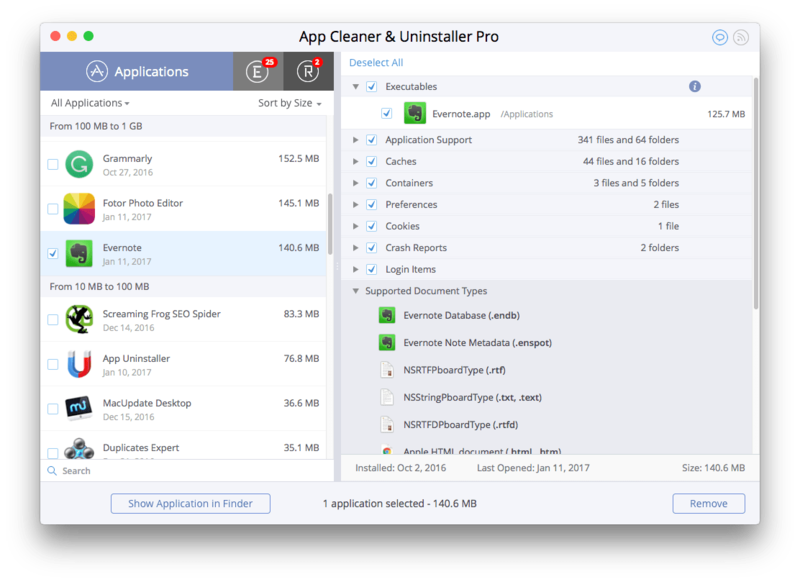 This application helps to remove programs on Mac, clear cache files, change extensions and even find leftovers of earlier removed apps. Scan your Application Folder with the app. Select all support files of Evernote and click the Remove button.